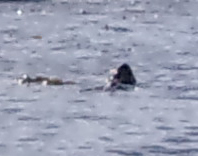 Just as we launched our kayaks an otter surfaced among us, eating a crab. 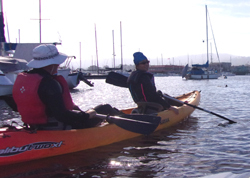 We also saw multitudes of noisy sea lions and more egrets than previous trips. 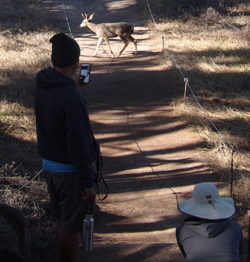 As we hiked in the afternoon at Point Lobos, deer wandered across the trial, ate a little and came back across the trail, posing for photographers. For more about the afternoon Point Lobos hike(s), go to Point Lobos.